I want to share a wonderful news with everyone. 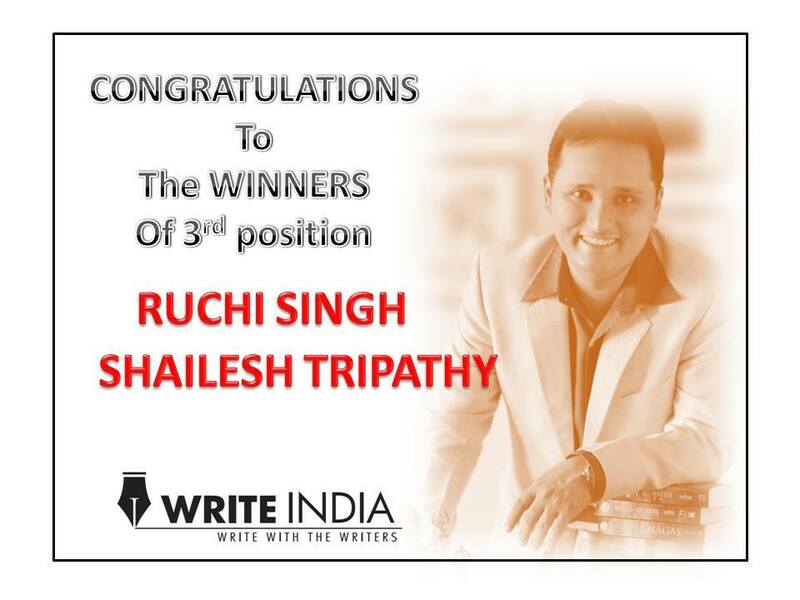 My short story won at the Write India campaign being run by Times Of India. All the short stories would be published in an anthology after the contest is over in 2016. This unique competition is organized by the Times Of India group. Every month a renowned author gives a prompt for the story along with some rules. The results are announced in 45 days time after the last date of submission. The prompt given by author Amish Tripathi in July was fabulous in terms of research involved and depth of the idea. 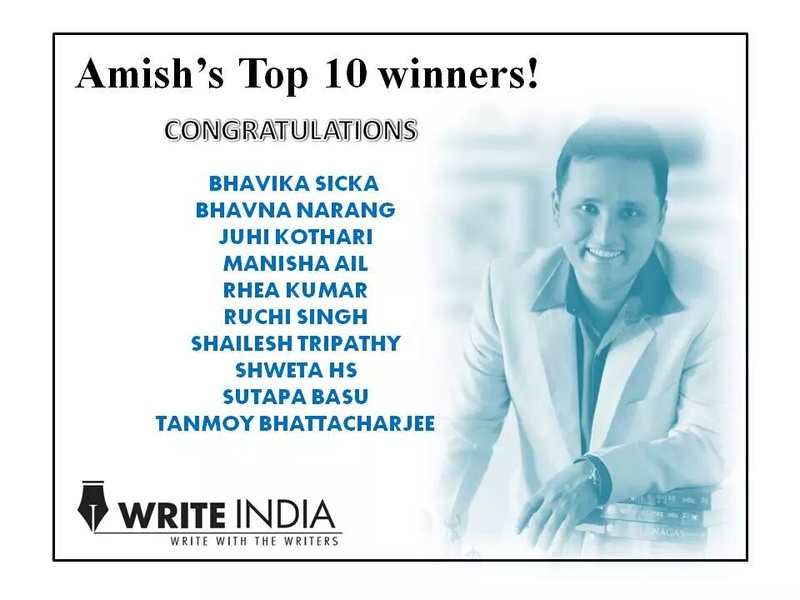 It was great to see my name on the top ten list short listed by TOI editors. The next stage involved the concerned author selecting the top three winners. The patience-demanding six hours wait for the announcement of the winners was nail-biting. I was reasonably confident about my story would be amongst the top ten, but wasn’t that confident (or arrogant) that it would make it to the winners list. But it did! All in all it is awesome to appear on the TOI media release. As I write this post the contest would go on for another eight months and I would try to write for other authors and prompts. The urge to come first is still burning high.